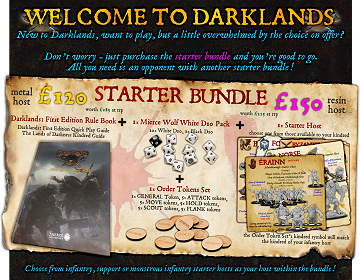 New to Darklands, want to play, but a little overwhelmed by the choice on offer? 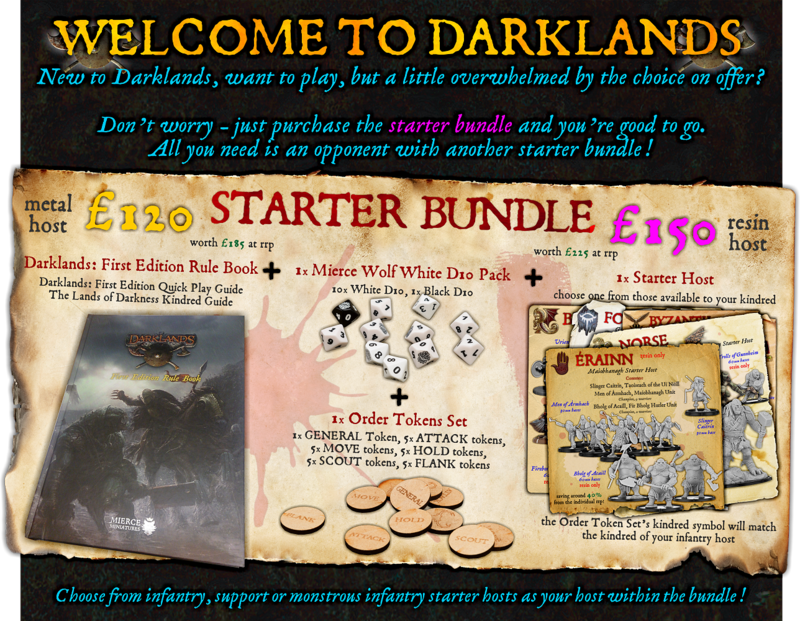 Don't worry - just purchase the Brythoniaid Starter Bundle and you have just about everything you need to play - except an opponent with another starter bundle, of course! Choose the starter host you would like from those on offer in the Brythoniaid kindred by noting it in the special instructions box when you go through the basket.